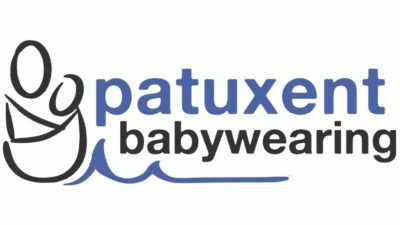 In order to better get to know the volunteer educators for Patuxent Babywearing, we will be featuring an interview with a different volunteer every week. This week’s volunteer spotlight is Christina Fowlkes! As a nanny I made a stretchy wrap to wear my charge who had reflux and preferred to be upright and snuggled close. Next we tried a Bjorn, which made me think babywearing might not be for older babies, but an Ergo restored my faith in wearing all the babies! What prompted you to try babywearing? I am a researcher–my college days were spent in labs and databases (I studied Biochemistry and minored in Child Development). As a nanny I tried to stay in the know about all things baby and that led me to the benefits of babywearing! And my doula work introduced me to wraps! Wraps–one wrap can be used for so many carries and it folds up nicely into my purse. I’m a huge fan of the lending library! I exclusively wrap, but I don’t own one! I just borrow a new one each month. Variety is the spice of life 🙂 My husband loves our Lillebaby and when it comes to SSCs, it is my fave.What is your favorite carrier from the lending library? Babywearing made it so much easier to follow my instincts as a mama while still being able to get things done. Plus, it’s so nice not lugging a stroller around! I’d much rather have my baby right on me! How has babywearing saved the day? Going to the post office! We obviously are getting a lot of boxes for Marigold and I wouldn’t be able to get them without wrapping Whit on my back! A size 5 wrap (Girasol Amitola creme weft)… not that I’ve thought about it at all!There is a zombie apocalypse. You have time to grab only one carrier, what do you grab? Hmm, I’m thinking an SSC. Probably an Ergo with the big pocket. I’m assuming I have the lending library 😉 Otherwise, our Lillebaby. My husband loves this question! I love our mom community. Mamas helping mamas is what a village is all about and I wanted to be able to share my passion for babywearing like the mamas that shared with me! What is your favorite thing about being a babywearing educator? Getting to hold tiny squishes and help get them snuggled up on their mom or dad!Is there anything babywearing related you are still learning or looking forward to improving? What do you like to do when you are not babywearing? What do I like to do?!? Hmm, having a coffee while hubby sprays out the poopy diapers on Saturday morning is pretty high on my list 🙂 then maybe even showering alone! It’s like a mommy spa experience!